The weekend is here and the rain has stopped so it’s time to step outside for some fun, starting with a play that, besides entertaining you, will definitely make you think. 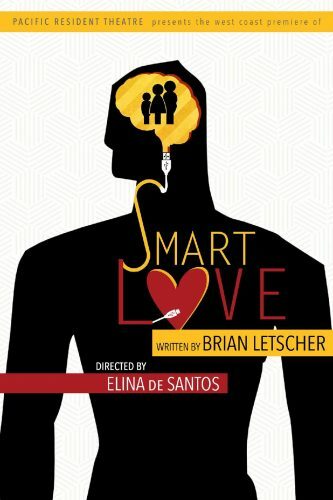 Smart Love written by Brian Letscher and directed by Elina de Santos is about Artificial Intelligence and how humans, one day, will most certainly be faced with deciding what makes us truly human. In this excellent production, now playing at the Pacific Resident Theatre located at 703 Venice Boulevard in Venice, the main character Sandy (the excellent Melissa Weber Bales) a woman in her 50’s, is faced with exactly that question. Thanks to her son Benji (Zachary Grant) who may or not be crazy arrives at her house with a surprise. He has brought back to life her husband, Ron (the wonderful Michael Mantell). It seems Benji has stolen Ron who is an A. I. (Artificial Intelligence) from MIT and the federal government who are hunting him in order to retrieve their merchandise. You can’t blame them since Ron cost $20 million dollars to create. Smart Love runs Thursday through Saturday at 8m and Sundays at 3 until Febuary 24, 2019. For tickets call 310-822-8392 or go to PacificResidentTheatre.com. Now there is nothing like some really great music to make you feel good so Saturday night I will be at the Canyon Club located at 28912 Roadside Drive Agoura Hills CA, to see the legendary Taj Mahal and the Phantom blues Band. Grammy Award winning Taj Mahal is not only a legend but he’s a visionary whose blues/world music is known for trailblazing exploration of a variety of musical genres. This blues master’s career spans fifty something years and includes influences from around the world, including the West Indies, India, South Asia, Africa, Latin America and more. He has helped to reshape the definition and scope of blues music. He’s released over twenty five studio albums plus live albums and complications and has worked with artists as diverse as the Rolling Stones, Ry Cooder, Van Morrision, Sammy Hagar, Wynton Marsalis, Eric Clapton and more. This is one show you do not want to miss. To buy tickets go to CanyonClub.net or call 818-879-5016. And now for some daytime fun. If you love jewelry, gemstones, textiles, and handcrafted beads, the place to be this weekend is the PASADENA BEAD AND DESIGN SHOW and I will be there on Sunday. The show is open to the public. You can shop and buy direct from artisans and trades people at excellent prices – beads, art clothing, jewelry, gemstones, textiles and the largest selection of handcrafted beads, art jewelry and gems. Many products offered for the first time-and by the artisans themselves, including an array of designer accessories such as felted hats, art wear, hand-dyed silks, hand tooled leather and eco-dyed and up cycled clothing. The exhibitors, who are carefully chosen by invitation, include both traditional and contemporary artisans, high quality merchants and wholesale suppliers. The show is being held at the Hilton Pasadena Hotel located at 168 South Los Robles Avenue, Pasadena CA 91101. It runs January 18-20, 2019 from 10am-6pm Friday-Sunday. For more information and to buy tickets go to BeadAndDesign.com or call 1-888-747-1123. There are also 150 workshops offered daily 8am to 9pm. Admission at the door is $10.00. Advanced tickets are $8.00. Now after all this shopping and since you are in Pasadena you might one to try one of my favorite restaurants TRUE FOOD KITCHEN a relaxed, eco-chic chain serving health conscious fare, including vegan options, plus cocktails. The resturant is located at 168 West Colorado Blvd in Pasadena. The renowned physician and doctor of integrative medicine, Dr. Andrew Weil founded True Food Kitchen with the simple belief that food should make you feel better, not worse. From day one, Weil and his team championed his vision to bring this new way of eating to each one of his kitchens located throughout the United States. Don’t get scared away by the word ‘healthy’. Trust me I’ve eaten here several times and the food is absolutely delicious. 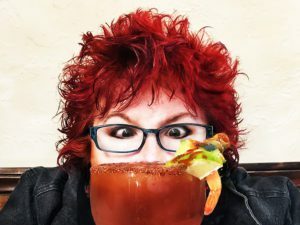 To check out the menu go to Places.SinglePlatform.com. To read more about the restaurant go to TrueFoodKitchen.com. Whatever you choose to do this weekend make it a fun one. I know I will.